A 2018 favorite, the Jane Media Console Electric Fireplace (shown) enhances any décor with its timeless elegance. Dimplex recently announced that it has relocated to a new showroom on the 7th Floor of the IHFC building for this coming Fall Market. In response to a demanding marketplace, Dimplex has been expanding their product line with casegoods that partner with the worlds most advanced electric fireplaces and designs that extend across all trends and must-haves. More about Glen Dimplex Americas: Glen Dimplex Americas is committed to enhancing the moments that matter in life, through home comfort and style with on-trend case goods. 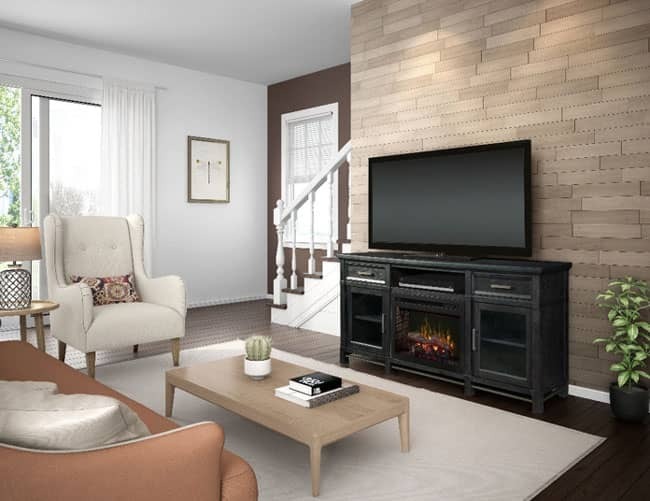 With a dynamic portfolio of electric fireplace mantels and media consoles, Glen Dimplex Americas stands at the forefront of design, luxury, and warmth.